Autopilot crashes aren't the only problems EV maker Tesla has been forced to contend with lately. As we reported last week, Consumer Reports (CR) refused to give Tesla's Model 3 all-electric sedan their recommendation due to "big flaws" in the vehicle's braking system. At the time, the outlet claimed the Model 3's braking abilities were noticeably worse than a full-size pick-up truck. Tesla was quick to refute this claim by saying CR's testing was affected by environmental temperatures, road surfaces, and "past driving behavior." Regardless, company CEO Elon Musk later said the issue could be fixed via a firmware update. 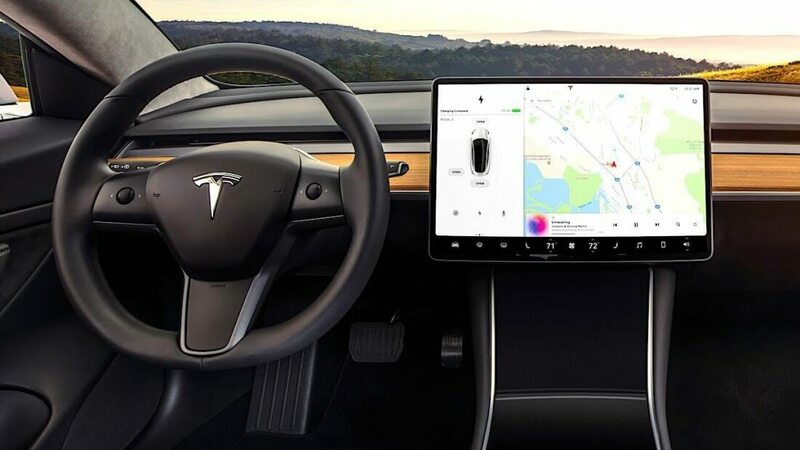 This statement prompted CR to agree to re-test the vehicle if Tesla successfully managed to pull off an "industry first" over-the-air brake update. It seems that's precisely what has happened, as CR now says the Model 3 has officially earned their recommendation. According to the outlet, Tesla has managed to reduce the vehicle's braking distance from 152ft to 133ft. Furthermore, Tesla has already begun to take many of the outlet's other complaints (such as wind noise and uncomfortable rear seats) into account by implementing changes to their production line. CR plans to rent another Model 3 from Tesla at a later date to see these changes in action. A few hours and the entire fleet is fixed. If this has happened to any other car thousands would die before all the recalls took place. Amazing car and technology. drufense, CrazyDave and MoeJoe like this. Now if only they could make one with a proper engine I might actually be interested. Here's the flaw though.... "Furthermore, Tesla has already begun to take many of the outlet's other complaints (such as wind noise and uncomfortable rear seats) into account by implementing changes to their production line." I'm sure another software update that will fix all this, along with bad weather and poor phone reception. I know many here hate on Tesla, but this is pretty awesome. If this were a major car manufacturer and it wasn't recall worthy nothing would be done. They drastically improved braking performance and avoided a recall with a simple OTA update. I'd be curious to hear the technical details behind what they fixed with braking behavior. This will be the normal comments of, I hate Elon Musk and Tesla no mater what they do. No other car company in the world gets scrutinised as much Tesla does and I would have to say no other car company in the world listens as much to their customers. Granted, this is pretty neat to be able to upgrade or fix software/firmware. But it's not unlike doing the same to our PC motherboards when the manufacturer releases a firmware update. The issue, though...is that sometimes those firmware updates have bricked motherboards. What happens when a Tesla update bricks thousands or millions of their cars someday? That is very unlikely because they (Tesla) obviously test their update before releasing it. The only times I'm aware of devices being rendered unusable (bricked) is when the OEM delibretally intended it. Tesla Model 3 fails to get Consumer Reports recommendation due to "big flaws"